What being a high risk business means for you? PAYCRON > Blog > Why Your Business Is Considered To Be A High-Risk By Payment Processors? Why Your Business Is Considered To Be A High-Risk By Payment Processors? Acquiring merchant services can be pain-staking for any business but the process proves to be even more daunting for high-risk businesses. 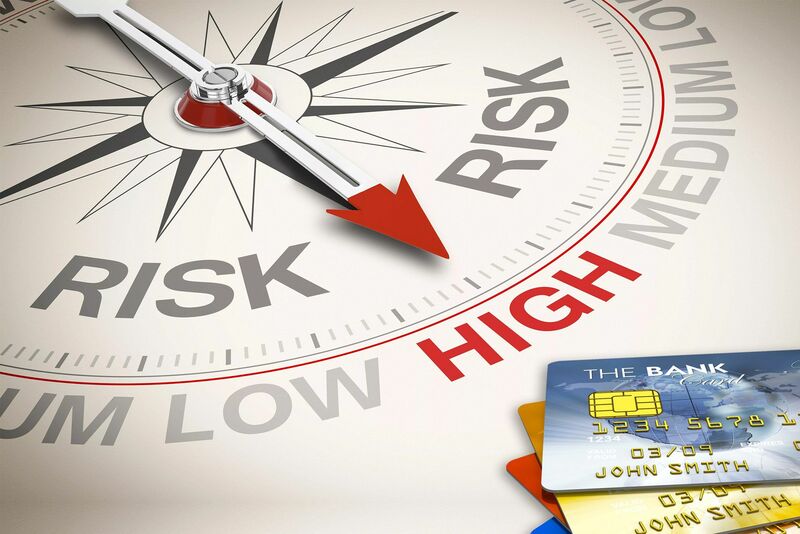 Do you know why your company is perceived as a high-risk business by card processing services? However, list of high-risk businesses is not confined to these names. These are only few examples. Why A Business Is Labeled As High-Risk? It does not mean that you are running a dangerous business or it is illegal. What it really means is completely different from this. There are two major conditions due to which a company is categorized as a high-risk business. If a business operates within a high-risk industry it can be considered as a high-risk business. Secondly, when risk of financial failures is high, a business is looked upon to be a high risk business. While the former contributing factor is quite superficial, the latter one is closely related to practices a business follows. Besides the industry you hail from and the clientele you have, what significantly contributes to your positioning in the spectrum towards high risk is probability of failure and frauds. High Chargeback Ratio– Your business faces large possibilities of financial failures with high chargeback ratios. Also, when you have a tag of terminated merchant (TMF), reputable services might not like to associate with your business. Merchant service providers look down to a business that has lost previous merchant processor account due to excessive chargebacks, as a red flag. Bad Or Very Little Credit History– If you have not been regular in paying your credit card bills, personally or as a business, it hampers your reputation in the eyes of payment processors. Also, being new to credit card processing industry, payment processors may find it difficult to trust you. Your business accepts payments in multi-currencies. Products or services sold for high dollars invite unwanted attention to your business. International merchants or businesses that associate with countries other than Canada, USA, Australia, European Union, Japan, South Korea or Indonesia as business transactions outside the above given countries come with high chargeback risk. Businesses that accept card-not-present transactions largely like e-commerce businesses are also viewed as high-risk businesses. Underlying reason for it is lack of payment security. You have by now understood the elaborated meaning and factors that contribute to “high-risk business”. It is imperative for any high-risk business to understand what it all boils down to. Not only issuing banks but many merchant service providers also avoid working with high-risk merchants. They intend to part themselves from any legal issues that are usually associated with high-risk business transactions like identity theft or other criminal activities. They do not see any worth of troubling themselves to cater to a company that has large potential of facing fraud or chargebacks. It does not imply that obtaining merchant account services is impossible for high-risk businesses. Nevertheless, they will have to make some serious and extra efforts towards it. Well, of course, they need to pay extra fees and rates for that as processors intend to minimize the risks involved for them. You do not need to be a genius to get that. Do not think that all the doors of modern payment solutions are shut for you. There are genuine and experienced online merchant service providers that serve high-risk businesses. These alternative channels cater to and suffice payment processing needs of high-risk businesses to great extents. What Is Meant By Merchant Account Reserves? Fixed reserve– Also known as capped reserve, this accounts for holding back a percentage of revenue until the reserve reaches a designated amount. Rolling reserve- When a percentage of revenue is withheld for a stipulated time period, it is called rolling reserve. Upfront reserve– It is the amount of money that is placed in escrow right before the agreement starts, gives liberty to processor to withhold 100% of credit card transaction until reserve reaches the necessary balance. After meeting certain conditions, funds are eventually released, which are based upon the type of reserve in use. Bottom Line Message: Staying unambiguous to payment processor about nature of your business helps you sail through the high-tides. Overcome your fears of being rejected by banks or merchant providers for alternatives are always there to facilitate plastic transactions.